Following on from the success of our Epic! Poetry Competition, The Footpath Library has launched the Epic! Short Story Competition for primary and secondary school students. Students are invited to submit a short story under 300 words focusing the theme of “Home is …”. The Competition opens on Day One Term One 2015 and all entries must be submitted by 5pm (AEDST) on Thursday 2 April 2015. Click here to enter. 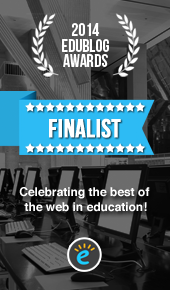 This week’s Website of the Week is Wordsmith.org. This site has a really cool Word of the Day feature which allows subscribers to receive a different word and its definitions as an email every day. Check out our sidebar for today’s word and feel free to follow this blog to see the new word each day. Wordsmith .org is also the home of Internet Anagram Server, another brilliant little tool that generates almost endless anagrams for any words or phrases you enter. Spelling is Fun with Weird Al. Weird Al Yankovic’s Spelling song, Word Crimes is just too hard to resist. Great fun! Check out the collection of spelling resources below to boost your skills and improve your spelling confidence. How Do You Like to Read? Take Our Poll. 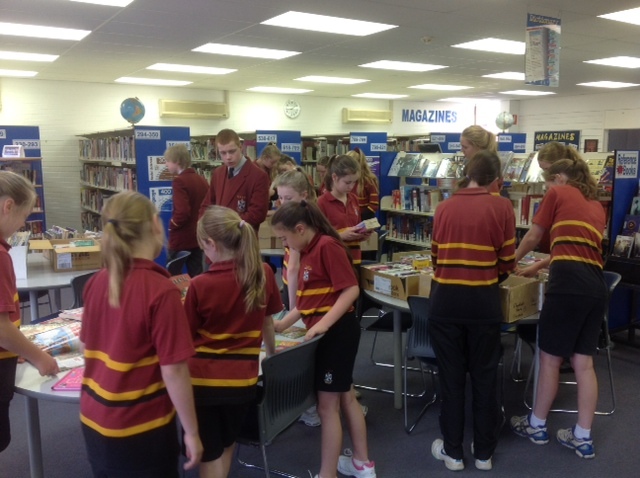 Students are spoilt for choice at this year’s big book sale. Our Big Bring and Buy Book Sale is on again today. After a huge first day we still have a great selection of quality fiction and non-fiction titles for your reading pleasure. If you forgot your cash, don’t fear. Just select the books you want and we will hold them till tomorrow for you. Remember all proceeds split between Cabra Libraries and our selected Cabra Missions. All unsold books will be donated to local charities like Rotary who will send the most useful titles to needy schools in the South pacific region. We aim to let nothing go to landfill. Did You Know that The Lifeline Bookfest held twice yearly in Brisbane is widely regarded as the world’s largest second hand book sale. The last Bookfest, held from January 18-27, raised an incredible $1.18m! That’s an $80,000 increase on the previous year. The next Lifeline Bookfest will be held at the Brisbane Convention Centre from June 7-10, 2014. Lifeline is a Uniting Church Crisis Support and Suicide Prevention Service. Colombia’s most revered writer Gabriel García Marquez died in his adopted home of Mexico last month. Renowned the world over for his writing; short stories, screenplays, journalism and literary fiction. He was seen by many as the Godfather of the literary style Magical Realism. He published consistently often returning to the same themes in a way that garnered him considerable commercial and vast critical success. He was perhaps the most successful Spanish Language writer since Cervantes. He was awarded the Nobel Prize for Literature in 1982. Read Marquez’s Nobel lecture in full here.